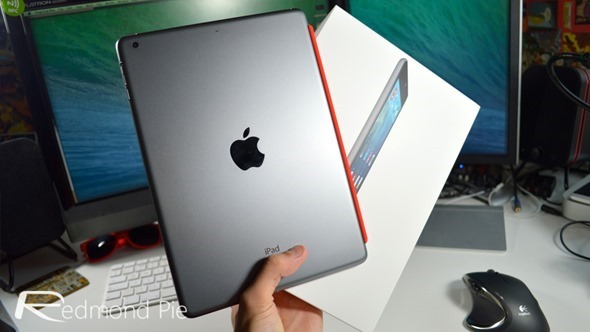 The latest and greatest in Apple’s full-sized iPad range is now officially available for consumer purchase. As expected, there has been a great deal of interest in the lightest, thinnest and fastest iPad yet with certain stores in the United States and around Europe having to manage queues that started forming 24-hours prior to launch. 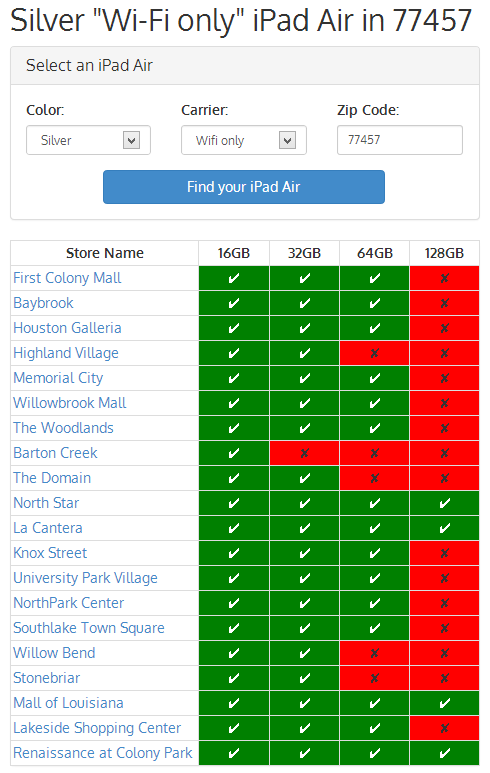 With that said, the official Apple.com website still shows that the iPad Air ships within 24-hours on all models barring the 128GB Cellular + Wi-Fi version. But what if digital purchasing isn’t your thing and you’d prefer to grab one from a local retail outlet without fear of being disappointed by dwindling stock levels? Not that long ago there was a handy little website called “iPhone Checker” that was hosted by Mordy Tikotzy and allowed consumers to check their local Apple retail outlet for stock of the newly released iPhone 5s. That website is no more, but we shouldn’t turn those smiles upside down just yet as it has been replaced by the bigger, better and more powerful “Apple Tracker” website that offers the same functionality with a few turbo charged additions thrown in for good measure. As you might have guessed the “Apple Tracker” site extends beyond just the iPhone 5s and allows consumers to check for additional products. Tikotzy has recognized the needs of the gadget frenzied masses and extended the scope of the tracking website to pull in live stock information for the iPhone 5s, the brand new iPad Air as well as the soon-to-be-released iPad mini with Retina display. The final option in that list will obviously be of no use whatsoever to anyone at the moment considering the Retina iPad mini doesn’t get released until later in November, but still, it’s comforting to know that we can keep our beady eyes on stock levels when it does finally land. The website abstracts most of the boring information seeking requirements away from the user by utilizing the live stock data from the Apple.com website. The process is as simple as selecting a device, narrowing down the criteria by adding specific parameters such as color and network and finally inputting a local zip code before hitting the search button. Voila, up pops a list of all local Apple retail outlets and whether or not they have stock of the specified product. Just incase you were wondering, the Fifth Avenue store in New York seems to have plenty iPad Airs in stock. Head on over to apple-tracker.com to get started.